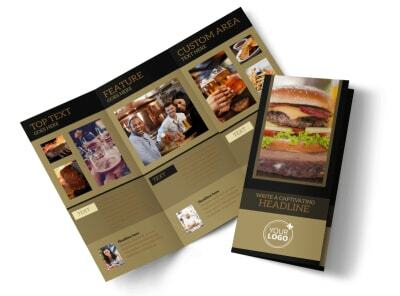 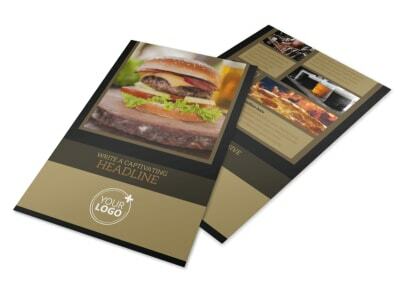 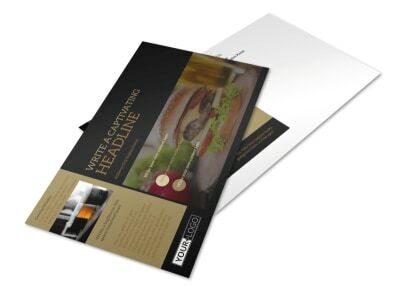 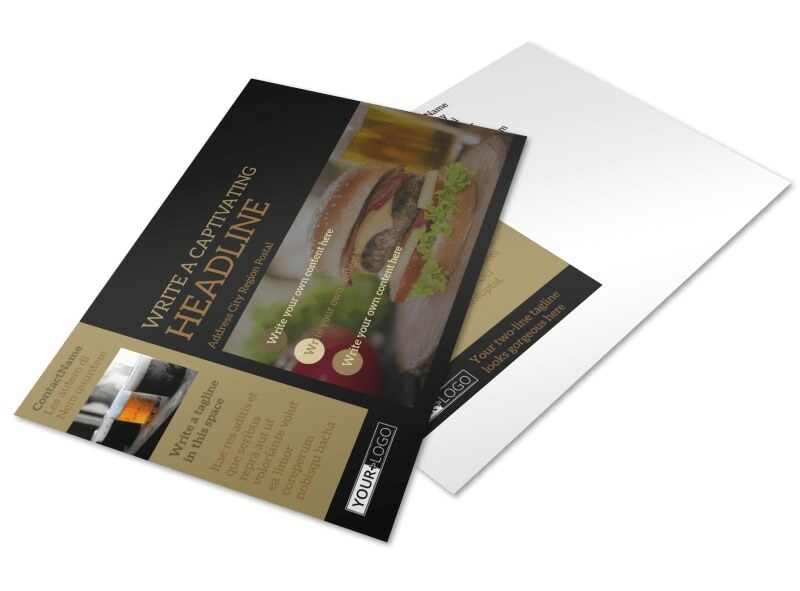 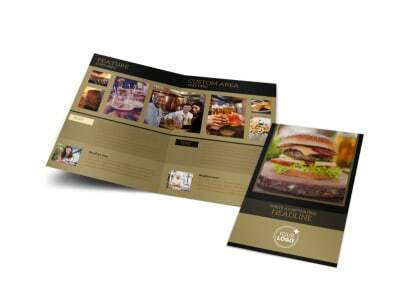 Customize our Bar & Grill Postcard Template and more! 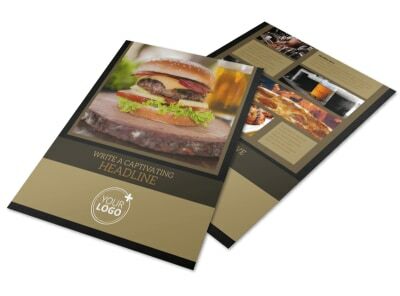 Announce your establishment's grand opening with this bar and grill postcard promoting all the tasty treats you have to offer. 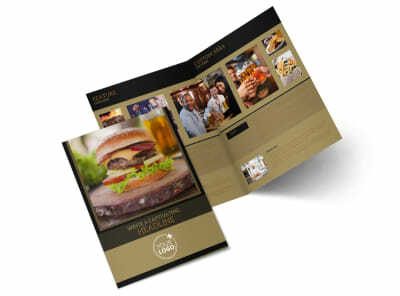 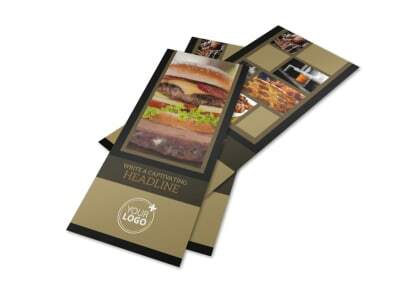 Use this fantastic promotional tool to get your bar and grill’s name and opening date out there into public awareness. 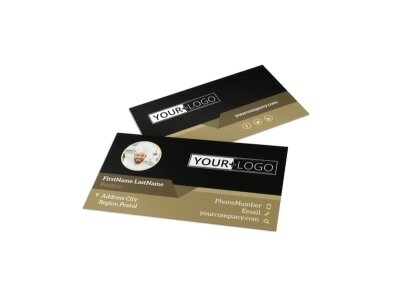 Completely customize your postcard with our user-friendly online editor, and then either print it from your own office or utilize our expert printing services.